This is the year of Alexa Chung and just when you think the year's closing and no more can be announced, we have an update. 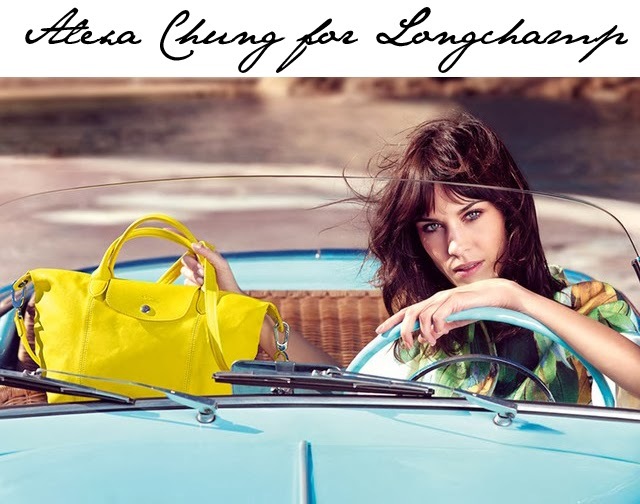 Alexa Chung has partnered with Longchamp for their Spring campaign. The first image was released this morning on WWD and if first impressions are anything to go by, this looks like a stellar partnership. In the past few months, we've covered the publishing of Alexa's first book, her first collaboration with Eyeko, a recent cover of Vogue and more party appearances than we can keep track of. We're pretty convinced Alexa Ching is actually one of a set of triplets, making the rounds at events. How else is she seemingly everywhere at once? Wonderwoman!